Many of us view the family as utopia. In theory, a family should be utopia but it often is not. I say in “The Black Greek Success Program” that some of us have people in jail, others have family members who are addicted to drugs or alcohol, and I joke that many of us have entire sides of our families that we would probably rather not acknowledge. If our blood relatives aren’t perfect, there is no way we can expect our fraternity brothers or sorors to be perfect. 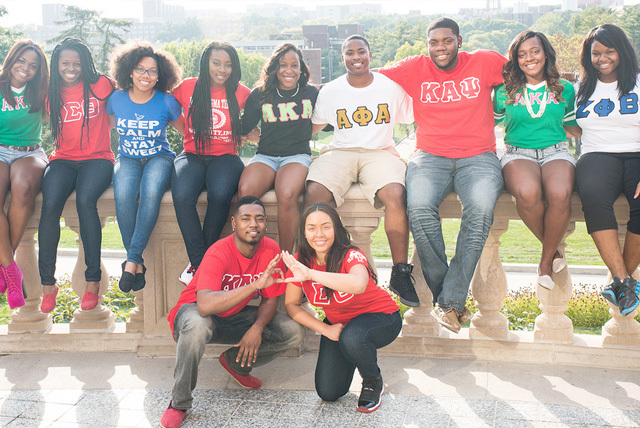 Ironically, Black Greek life has taught me how to be a better family member. What have I learned? Any father will tell you that starting a family is easy but keeping a family together is where the real work comes in. Think about the last time a Black Greek said it is one thing to get letters but a completely different thing to stay active and involved. In the family, neither parents nor siblings are perfect, marriage does not guarantee eternal love, and kids don’t raise themselves. Just as it takes work to maintain the good name of our organizations, it takes work to support our spouses, raise our children, and maintain healthy relationships with other family members. I will definitely be the first to say that our elders are not always right but I have also learned that they deserve respect. All of us active Black Greeks sit in meetings where brothers or sorors who have been in the organization for 40-plus years say what’s on their minds whether we like it or not. As annoying as we may find them, our elders have earned the right to be heard and respected, because they really have been there and done that. Treat yourself to a conversation with an elder in your family one day. Sit down, shut up, listen and just soak up the wisdom. Even when it feels personal, don’t take it personally. We all feel pain but it doesn’t mean that people mean to inflict pain upon us. Try to understand the situations of others. When we feel hurt by something a frat brother or soror does, there is often someone around to advise us to think things through.For many of us, feelings run much deeper with family. That means we have to work harder to understand the situations. If we count to 10 in order to resolve issues with our frat or soror, we should count to 100 to resolved issues with our blood relatives. Kick the pride aside and become the glue that bonds your family. One reason many of us Black Greeks are so proud of our history is we can trace it back to our founders. We know that family lineage can be a problem in Black America (often because of the way records on slaves were kept) but we owe it to our children and generations to come to treat whatever lineage we discover with dignity. A family code is a good thing. As “Game of Thrones” is all the rage these days, some of us in Black America admit to being envious of families who have codes that go back generations. We know our organizations’ aims and ideals backwards and forward, giving us codes to live by in the Black Greek system. A family code can do wonders for a family’s identity and growth. Take care of issues before they become problems. It is destructive to the health of a family to allow issues to fester. In Black Greek life, I think of how aggravated I get when we don’t use chapter meeting time to resolve issues. Our families may not have chapter meeting time to resolve issues; but if we truly love our family, we can definitely make time to nip issues in the bud. They may be crazy but they’re my crazy. Our relatives are extensions of who we are. Let’s be honest, we have frat and sorors from whom we would gladly distance ourselves if they didn’t wear the same letters. They do, so we have to claim them; and with some compassion and work, we come to understand that their craziness often comes from a good place.But let’s look at this point from their end. Love is the great equalizer. As whacked out as a family member may seem, he or she may respond well to being lovingly claimed by a relative. The words “You are crazy as the day is long but I will love you forever” can have a tremendous healing effect. It may be one of the biggest clichés in Black America but it is true. When times get rough, many of us in Greek life find that we have to “lean on the shield” in order to get from point A to point B. Just like people in our respective organizations have watched us struggle in class or in our careers, our families have seen us struggle in much more vulnerable places. In a society where racism continues to threaten African Americans and family legacies, we should always work with family members to strengthen our legacies. This article was written by Eddie Francis, the HBCU Lifestyle Podcast host and Greek life contributor, at HBCU Lifestyle where it was originally published.